Jane: What’s the matter? Haven’t you seen a zoo before? Bill: I’ve been in one all my life. L. Herman, A practical manual of screen playwriting : for theater and television films. World Publishing Company, 1952. 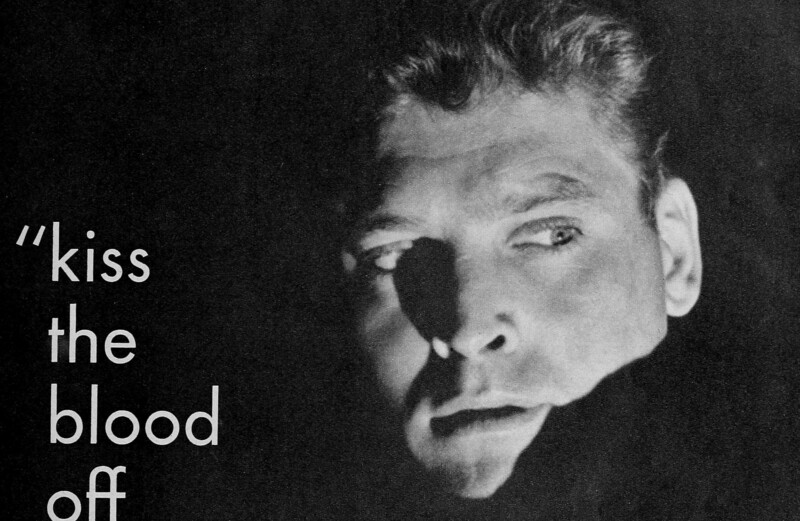 K. Buford, Burt Lancaster: An American Life. Aurum Press, 2013. S. Cavell, Contesting Tears: The Hollywood Melodrama of the Unknown Woman. University of Chicago Press, 1996. B. Mamer, Film Production Technique: Creating the Accomplished Image, 5th. Cengage Learning, 2008. C. J. Bowen, Grammar of the Shot. CRC Press, 2013. P. Buhle and D. Wagner, Hide in Plain Sight: The Hollywood Blacklistees in Film and Television, 1950-2002. Palgrave Macmillan, 2005. United States. Congress. House. Committee on Un-American Activities, Investigation of Communist activities in the Los Angeles area. Hearings. Washington, U.S. Govt. Print. Off., 1953. G. Butler, Kiss the blood off my hands. New York, Farrar & Rinehart, Inc, 1946. J. Cogley and Fund for the Republic, Report on blacklisting : 1 Movies. [New York] Fund for the Republic, 1956. C. Higham, Sisters : the story of Olivia de Havilland and Joan Fontaine. New York : Coward-McCann, 1984. P. McGilligan, P. Buhle, A. Morley, and W. B. Winburn, Tender Comrades: A Backstory of the Hollywood Blacklist. New York: St Martins Pr, 1997. A. F. Institute, The American Film Institute catalog of motion pictures produced in the United States. F4,1. Feature films, 1941 – 1950, film entries, A – L. University of California Press, 1999. H. M. Berlin, The Complete Mr. Moto Film Phile: A Casebook. Wildside Press LLC, 2005.